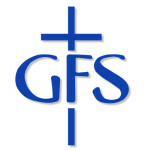 News Archives - GFS Australia Inc. Please be patient with us as we update over 10 months worth of data from our website being down. Watch this space we are on the move!!! Copyright © 2015. GFS Australia. All Rights Reserved.